I’ve had much more time, since my first impressions posts, to use the Z7. I’ve used it for studio portraiture, wildlife (albeit at zoos mostly), hiking, around the house (kittens for teh win! ), and more. A pretty wide range of scenarios. The scenarios I haven’t yet explored with it, but really want to soon, are timelapse & astrophotography (the latter requiring lenses I don’t currently have). Atrocious performance relative to light levels, as I’ve covered previously. This isn’t just about “low”-light use – even in broad daylight, in direct sunlight, it can still struggle on low-contrast or backlit subjects, even with very high quality f/1.4 lenses. Poor reliability, in that some photos will be wildly out of focus for absolutely no apparent reason, despite most others in a series being relatively fine. This really screwed me on a (well-lit) portrait shoot recently, when I later discovered that quite a number of photos were utterly out of focus and were effectively lost. In most such cases, absolutely nothing in the frame was in focus – typically the camera had front-focused wildly, well in front of anything visible in the frame. In other scenarios, I’ve seen it similarly back-focus to infinity for no apparent reason. Inability to tell, through the EVF, if a photo is even vaguely correctly focused or not. The EVF gives a false impression of sharpness by its nature, so a lot of the time what appears to be in sharp focus through it is in fact unusably out of focus in reality (especially with the fairly demanding resolution of the Z7, wide apertures, and/or close subjects – such as in portraits). The overly large AF regions (especially in video mode) often encompass more than just the subject of interest, and the Z7 seems to frequently favour the furthest object within the AF region, not the closest as is typical in every other camera I’ve ever used (and makes much more sense in almost all scenarios). Beyond issues of correctness, there’s the numerous usability issues that have been raised by myself & others, such as the inability to map different AF modes to different buttons, the awkwardness involved in using subject tracking, etc. I’m still holding onto hope that Nikon will at least fix those flaws in a firmware update. It took me a while to put my finger on what felt so awkward about the zoom-in mode that EVFs allow for, and almost all implement – Z7 included. It wasn’t until I happened upon someone else pointing out the obvious that I saw it clearly too – there’s huge lag in the viewfinder image when zoom is engaged. It makes it very difficult to keep up with a moving subject, or even just the movement of the camera itself (most pronounced with macro work). It also makes it a little bit more difficult to manually focus, or at least to do so quickly, since the feedback cycle is so long. Unfortunately, zoom isn’t available at all in video mode, which is a shame. The camera itself is surprisingly buggy. It frequently locks up, sometimes with an error message like that shown above, but sometimes just in whatever state it happened to be at the time. Sometimes using the on/off switch actually works, but sometimes that switch does absolutely nothing and you have to pull the battery to hard reset the camera. This is frustrating, as you’d imagine, and I can say from first hand experience is very uncomfortable & embarrassing when you’re stuck furtively trying to get your camera to work at all in front of a group of expectant portrait subjects in a professional setting. Note: Nikon did just today release 1.0.1 firmware which fixes one lock-up problem, but the patch note’s description of the symptoms don’t match mine, or at least are only a subset of the scenarios in which I’ve seen this issue. I’ll of course apply that update, and we’ll see if the problem persists. I do enjoy being able to just plug the camera into a USB-C charger and not bother with removing the battery and finding the power plug charger etc. It also makes it much less likely I’ll find myself on site with a camera containing no battery, such as if I grab the camera in a rush out the door. However, one time (thus far) when I had left the camera charging overnight, I grabbed it the next day to find it had only 23% battery left. It apparently didn’t charge at all. I have no idea why – it was correctly plugged in. There is a tiny LED charging light on the side of the camera, above the USB-C socket, which evidently must be scrutinised frequently to ensure charging is actually occurring – but I don’t know if it never started charging, or did but then stopped, or what. XQD cards are insanely expensive (and getting more expensive over time), and therefore most people (myself included) cannot afford to have lots of them. In contrast, I have about 30 SD cards, which cost me very little all-told, and which practically-speaking means I have them everywhere, so even if I forget one in a card reader, I can invariably find numerous others wherever I am. In ~six years of DSLR photography I don’t recall ever being without a usable SD card (though I certainly recall leaving some at home by accident many times). XQD cards are sold almost nowhere – it’s almost always impossible to buy them on the fly, currently. If I got on a plane without my one XQD card, I’d probably be screwed for the whole trip, depending on where I go – at best I could hope that Amazon or B&H or Adorama can deliver to wherever I’m travelling, but that might take days if not a week. Not that I like the insane prices tourist traps charge for ancient 8 GiB SD cards, but at least they’re there in a real pinch. The electronic shutter occasionally interacts very badly with the 70-200 VR II (if not other lenses – I’ve only used a couple heavily on the Z7 thus far, and only sometimes in scenarios where this problem would manifest clearly). It’s very weird – there will be one or more horizontal bands of significant motion-blur across the image, which looks to me like the VR system failing (or otherwise misbehaving) for only parts of the exposure (a hypothesis supported by the fact that often you can see the characteristic “double exposure” of an abrupt VR movement). I’m guessing this happens predominately, if not exclusively, when using electronic shutters, given the relatively slow sensor scanning rate & that I’ve only seen it thus far in that shutter mode. It’s quite frustrating not just because of what it is, but because there’s no way to tell it’s happening at the time (short of rigorous chimping) and it seems to persist for a significant stretch of time when it occurs, ruining long sequences of photos at a time. Alas I don’t have any example photos yet that I’m at liberty to share, but I’ll try to remember to do so when the opportunity presents itself. It could also be a fault with my 70-200 VR II. It was acquired second-hand, and there’s hints it was “well loved” previously. Nonetheless, I’ve never seen this phenomenon with that lens on a D500. I was never really worried about battery life, given CIPA ratings are famously non-representative of any real world usage. In practice I’ve found it to not be an issue – I can easily get at least a thousand photos out of it per battery, even with heavy EVF use. Granted that’s not the 4,000 – 5,000 the D500 would manage, but it’s still enough for me most of the time. Only once did I have to swap batteries during the day (though I do feel compelled to typically carry a spare anyway, so I guess it’s not completely trustworthy in that respect). It’s finicky to get set up, and to re-connect each time you want to use it for a session, and it never auto-reconnects such as after you’ve walked out of the room for a moment… but nonetheless I’ve found the feature to be pretty interesting and nice to have. I guess it’s been available on many Nikon DSLR’s previously, but I believe only with the ludicrously expensive Nikon wireless transmitter dongle. Transfer speeds are obnoxiously slow – it takes several seconds for a JPEG even, let-alone the ~30 seconds for a single NEF – but in my limited use so far it does seem to at least plod along reliably. If you’re photographing rapidly, it can’t possibly keep up, but for relatively slow-paced use (e.g. studio work) it’s mostly fine. Given the slow transfer speeds, I wouldn’t try to use it for on-the-spot image review – cabled tethering is still necessary for that. What it is perfectly suited to is periodic review during a photo session, during breaks or whatever intervals you can sneak in. Overall it’s much faster & more reliable than SnapBridge, too, which ostensibly could do the same thing – albeit only with hand-held devices rather than real computers – but in practice has always proven unreliable (and is even harder to get working at all to begin with). I know on paper the Z7 isn’t the king of low-light photography vs its peers, like the Sony a7R II or III. But I know that I’ve used the a7R II, and while it also has impressively low noise, the Z7 seems even better. With the D500, I’d typically try very hard to keep it as ISO 100, or otherwise as low as possible – even if that means having to take literally 50 photos just to get one without serious motion blur. Even at ISO 100, the D500 has very visible noise and requires substantial post-processing if you want to get a silky-smooth look. The Z7 doesn’t. ISO 64 looks amazing w.r.t. noise, and even climbing up through the ISO hundreds I rarely feel the need to do any noise reduction. 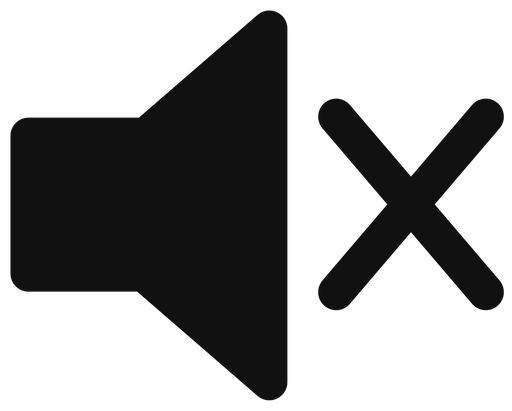 It’s not until you get into the ISO thousands, or (especially) tens of thousands, that noise reduction really becomes necessary. In short the image quality overall, particularly w.r.t. noise, is way better vs Nikon’s DX DSLRs than it should be. Many stops better. I don’t understand how, but I’ve long noticed that photos from FX sensors seemed unusually sharp, at the pixel level, vs DX (and smaller) sensors. I’d most often presumed it was just some careful post-processing. Now, I wonder if the Z7 – perhaps intrinsic to its high-end FX nature and thus shared with the D850 & predecessors – is fundamentally substantially sharper at the pixel level, irrespective of resolution differences, than DX sensors, even those with very similarly sized pixels (e.g. the D500, at 4.22µm, vs the D850 / Z7 at 4.35µm). There’s quite a few settings on the Z7, vs Nikon’s DSLRs or at least the D500 and predecessors, that preclude using flash. e.g. using fully electronic shutters, or H+ release mode, etc. There’s always been a couple of settings, on Nikon’s DSLRs, that would prevent the use of flash, but the Z7 exacerbates the problem – which is mostly just confusion. I expect in time I’ll get more familiar with this and better at relatively quickly going through the menus & switching all the things that need switching in order to permit use of flash – or if I were smart I’d just program one of the User modes for this purpose – but I felt it’s worth noting. When I attached a flash the other day, having not used one with the Z7 for a couple of weeks, it (embarrassingly) took me nearly twenty minutes to find all the settings I had to change in order to get flash to work. In fact I thought my flashes were broken, at first. Mostly this is just reality, and not a bug or design flaw per se, but there is one failure on Nikon’s part in this – they provide absolutely no information on why flash is disabled. If I could at least tap on the greyed-out flash button and have it explain why flash was unavailable, I’d be able to very quickly rectify the situation. Instead, I have to maintain a mental checklist of all the settings I need to check, to ensure they’re set to something flash-compatible. I keep getting surprised when I import my photos at the end of the day, and discover I took a lot more than I thought. Despite coming from a D500 with a faster continuous shooting rate. I’m very much enjoying the silent operation – after some initial teething pains with artificial lighting and banding, which I’m happy to say is fairly easily & fairly effectively rectified by sticking to roughly integer multiples of the illumination frequency (typically 60Hz in the U.S., which is convenient because 1/60 & 1/125 are good shutter speeds for event photography, which is usually where both lighting is artificial and silence is golden). Lightroom’s never been mistaken for a fast application by any means, but with the Z7’s NEF files (compared to ≤24 MP ones of various Nikon DSLRs) it’s particularly slow. Just moving between adjacent images in single-image view takes almost exactly six seconds to load every image, every time. From an SSD. Various Develop module settings are arbitrarily (and somewhat randomly) set to non-zero values by default, which I’ve never seen with any other camera’s photos before, and can’t find any way to prevent happening (nor any obvious rhyme or reason as to which settings are set & to what values, for any given photo). The camera & lens profile support seems broken, or something… e.g. it seems to be unable to identify what lens profile to use, for lens corrections. You can still specify the profile to use manually, and lens corrections seem to work still, but it’s laborious to have to dig through the pop-up menus for every photo. Plus, Lightroom claims, for every single photo irrespective of camera settings, that the “built-in” lens profile has been applied. I don’t know what that means, but distortion & vignetting are definitely not being corrected by default, with any lenses. White balance is interpreted incorrectly. What Lightroom calls “As shot” isn’t, not even close. e.g. when set to “Flash” in-camera, which should be something around 5200K and neutral in green/magenta, it’s interpreted by Lightroom as 6000K and 22 towards green. The result is the wrong – and a rather peculiar looking – white-balance under flash. Manually correcting it to 5200K & 0 green results in a white balance much closer to correct and the in-camera JPEGs. Having spent a week or so using the Z7 – though still not as much as I’d like, given the continued need to work for a living – I have some further thoughts, beyond / expanding upon my very first impressions. It is very clear that the Z7’s AF system is not in the same league as the Advanced Multi-CAM 20K system in the D500, D5, & D850. I’m increasingly concerned that it doesn’t even match up to the much older 51-AF-point systems used in much older DSLRs going way back to the 11-year-old D300. As I immediately noticed from the moment I turned the camera on, it has big problems in anything approaching low light, especially with the slow (f/4) kit lens. Not just night photography low light, but indoor lighting low light. e.g. under 250W-equivalent LED ceiling lights, in a small room, shooting at ISO ~800, it struggles to focus accurately even on high-contrast, stationary subjects. In fact for a while during my testing it back-focused to infinity, vs my subject 2 metres in front of me, and consistently kept focus there for a dozen photos, despite having AF-C engaged continuously, in single-point AF mode, with that point on my subject. In bright light – e.g. direct sun – it seems to do fine, but then so does any camera from the last fifty years. Another very concerning and frankly infuriating behaviour is that it simply won’t even try to focus if the subject is significantly out of focus to begin with. Every other camera I’ve ever used in my life would at least resort to racking the focus plane back and forth, but the Z7 simply will not do anything. You have to use manual focus override to bring the subject closer to being in focus, before the Z7’s autofocus system will even bother engaging. This is mind-bogglingly stupid – and a real problem if you remapped the ‘function ring’ on your lens to a function other than focus (e.g. aperture control). Next to consider are the AF modes, and AF tracking. For background, frankly I never found 3D Tracking in Nikon’s DSLRs to be very good – it’s very easily confused and will usually fail to track even the most clearly distinguished subjects. I have & do use it occasionally, but about the only scenario where I’ve found it consistently usable is birds in flight against a flat sky – at which point it doesn’t actually perform any better than Auto mode, really, since it’s merely focusing on the only thing in the frame that it can. You cannot configure different physical buttons to engage different AF modes. My D500, for example, has the AF joystick configured so that pressing it engages single-point AF, while the dedicated AF-ON button engages a different mode (e.g. 3D Tracking, one of the dXX modes, or Group mode). You cannot do anything like this on the Z7, which is a bizarre regression and a serious problem not just for its own sake, but also because it compounds many of the Z7’s other flaws, below. Face detection only works in Auto mode, and Auto mode continues (as with all prior Nikon cameras, and digital cameras in general) to be useless in most situations because it is utterly incompetent about determining your intended subject. It’s also incredibly sticky once it’s focused on something – face or otherwise. You actually have to move whatever it’s stuck on out of the frame entirely, re-engage AF, and hope it picks something better. I really wanted to use face detection, but repeatedly I find myself rushing to switch to single-point AF mode in order to get the shot that Auto mode is blocking. So while face detection itself is useful, and I’d like to use it more, the problem is that it’s rarely the only AF mode I need in any given situation, and Auto is basically never a useful AF mode. Given the inexplicable inability to configure different buttons to engage different AF modes, you’re stuck with this awkward choice of being able to conveniently focus on faces – but only faces, and only when it works, which is only sometimes – or do it all ‘manually’ with single-point AF mode. Or try to frantically switch back and forth between the two modes constantly, which I found to be impractically slow (and dangerously reminiscent of entry-level consumer DSLRs where basic functionality is buried in menus). Face detection struggles in the presence of multiple faces. It makes strange choices about which face to default to, and switching between faces is basically a losing game of whack-a-mole – first you have to wait for it to recognise the face you want at all, then select it before it loses it again, all the while doing your best to guess which ‘direction’ the face you want is from the current one – you can only use the left & right buttons of the d-pad, even if the faces are arranged vertically, and the movement direction isn’t even consistent. e.g. several times I hit left and it jumped to a face to the right of the previously selected one. The ‘tracking’ AF mode is a sub-mode of Auto mode, and frankly I find it a bit confusing to use as a result since you have to remember which of three states you’re in (normal Auto, tracking point placement, or tracking active) and use a variety of buttons to move between these states. It’s not quite as slow to engage as I feared from reading early reviews, and thus far it seems markedly superior to 3D Tracking in terms of actually tracking the subject, but the bad user interface really discourages its use. The baffling thing in all this is why Nikon just didn’t do the incredibly obvious thing that they’ve basically already established with their pro DSLRs, i.e. have a dedicated AF mode – ideally the default – where you place the AF point wherever you like, position it over your subject, and hit AF-ON to start tracking, and continue tracking until you release AF-ON. Nothing could be simpler, and Nikon’s DSLRs have done this for over a decade. The lack of a sensible AF interface is an inscrutable, unforced error, which makes me genuinely question who designed the Z7, and whether they’d ever used a camera before. One of the main attractions to me of the Z7 over all Nikon’s DSLRs is the expected improvement in video capability. By all rights the Z7 should be dramatically superior to any DSLR, for video, even if only because it can finally do phase-detection autofocus in video mode. Instead it’s a mixed bag. The ability to do full-sensor-width UHD, rather than the severely cropped UHD of the D500, is very nice, and while I haven’t yet had occasion to do very wide angle video, I know when I do I’ll be very happy to actually be able to do it (even a 10mm lens on the D500 doesn’t give you an ultra-wide UHD video frame, because of the severe cropping). Being able to use the viewfinder while recording video is a big improvement for general usability, and also stability – having that third point of contact, and your arms in closer to your body’s centre, make for a much more stable camera hold. It’s also correspondingly easier to record for long periods, since it’s an overall much more comfortable position. Unfortunately, all of that is really undermined by the AF problems. Just as with photo mode, of course, AF in video mode struggles in anything even vaguely reminiscent of low light. And in video recording you just can’t have certain behaviours, like racking focus back & forth searching for correct focus. Alas, the Z7 does that constantly. Its video AF performance seems very similar to the purely contrast-detection based implementations in Nikon’s DSLRs. It’s basically unusable, in my experience so far… maybe in bright daylight it’ll prove more reliable – I have not yet had the opportunity to test it in such circumstances. So for now video mode remains predominately manual focus, which is a huge disappointment. Thankfully the manual focus story is much better than the auto one. The ability to digitally ‘zoom’ in the viewfinder, at the press of a button (configurable, of course), is extremely helpful for manual focusing (and verifying accurate autofocus). It’s the single most important focus feature in the camera, by far. Focus peaking should be very helpful, but in practice I’ve found it to be inexplicably difficult to engage to begin with, and even then it doesn’t work well in many situations – e.g. it doesn’t work at all at high ISOs. While I did ultimately discover that if you switch the lens into manual focus mode, focus peaking enables persistently, it’s frustrating to basically be coerced out of AF entirely – given that when you’re not in complete manual-focus mode, getting focus peaking to show up requires holding down AF-ON (or similar), and moving the focus ring far enough to trigger peaking. It doesn’t sound like much, and maybe it’ll become more natural with practice, but right now it’s an awkward combination of actions. It’s baffling to me that focus peaking, when enabled, isn’t simply enabled – it shouldn’t require holding down extra buttons and jumping through hoops. The 24-70/4 ‘function ring’ is definitely different for manual focus. It’s noticeably sloppy compared with the auto-clutched AF rings typical of Nikon’s DSLR lenses – meaning, primarily, that you have to turn it a noticeable amount before it engages at all (though this pick-up ‘slop’ has always varied between lenses, and the 24-70/4 isn’t necessarily worse than all prior ones). I’m also finding it difficult, so far, to get it to move the focus plane consistent amounts – presumably attributable to the ‘acceleration’ behaviour it has, whereby the speed at which you move the ring apparently affects the magnitude of focus plane movement. I do expect that I’ll get used to that in time, just as I did when acceleration was introduced to computer mice many years ago. For now though it makes manual focus adjustment a tad more difficult than I’m used to. It also remains to be seen how consistent the implementation is – if you’ve ever used a cheap computer mouse vs a high quality one, you’ll know the subtle difference in accuracy & precision. With a small lens (e.g. 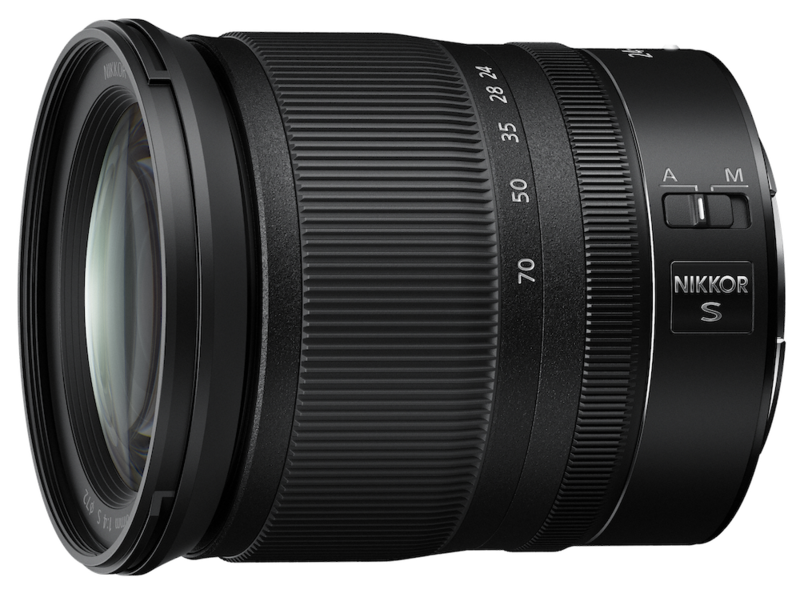 the 24-70/4 kit lens) it’s overall not too bad, though the small size – particularly of the grip – makes it noticeably less comfortable to use than a D500, D850, or D5. With a larger lens – e.g. a 70-200/2.8, it’s actually less of a problem, since the whole setup is much more front-heavy, putting the majority of the weight on your lens hand, so the smaller, dainty grip is less of a concern. 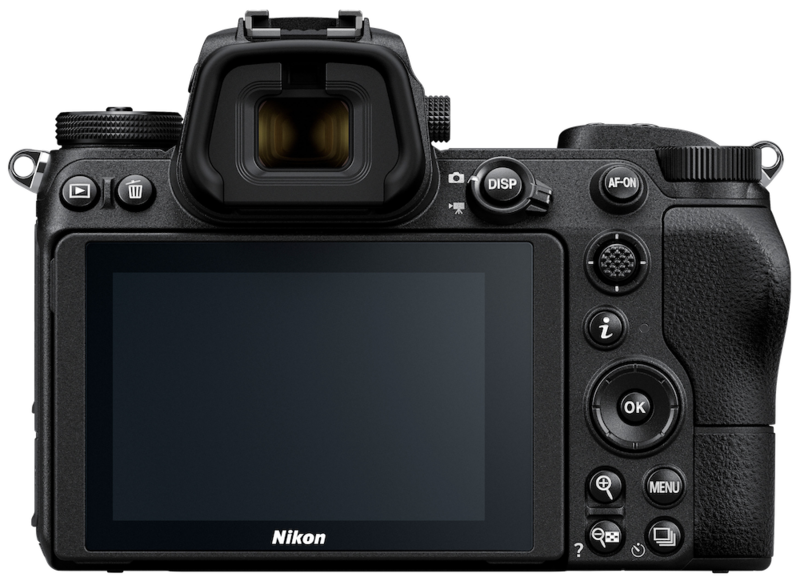 Nonetheless the controls – shutter, ISO button, exposure compensation, etc – do feel very cramped, though this is odd as they don’t appear, visually, to be packed any more densely than on the D500. The placement of the exposure compensation button is different to Nikon’s DSLRs, and is in a pretty awkward spot – it’s now much too close to the right edge of the camera. I frequently hit the ISO button by mistake as my pointer finger searches in vain for the exposure compensation button, starting with where it used to be on all prior Nikon DSLRs. Presumably I’ll get used to this in time, but it’s a strange and seemingly unnecessary change that simply makes the exposure compensation button harder to reach. Similarly the placement of the d-pad on the back of the camera is very awkward – it’s basically impossible to use comfortably or quickly with a normal hand-hold, requiring you to move your hand off of the grip somewhat in order to be able to reach the d-pad with your thumb, and move your face away (if you use your left eye to the viewfinder) to make room. This is a bit of a hinderance to an otherwise exciting new possibility, given the EVF, of being able to adjust lots of settings quickly without taking your eye from the viewfinder. In practice I find it quicker and safer (for the camera’s sake) to just use the rear LCD as before, as that gets my face out of the way and allows me to move my hand more freely. One surprising thing I’ve noticed is that some of the camera’s controls are noticeably laggy. Rotating the control dial, for example, to change aperture, has a very noticeable delay before the aperture actually changes, and the display(s) update. Only a fraction of a second, to be clear. Nonetheless, on Nikon’s DSLRs going back as far as I can remember, there has always been zero perceptible delay for such basic actions as changing the aperture. While it’s not strictly speaking a significant problem, it is a constant reminder in use that the Z7 is sluggish. In fact, one very noticeable manifestation of that “but I am le tired” feeling the camera conveys is when you put your eye to the viewfinder – if the camera has been idle for long enough (tens of seconds, I think), it takes a couple of seconds for the viewfinder to turn on. I’ve already had several awkward moments where I’ve had people posed in front of me, brought the camera up to my eye, and then had to pause for an uncomfortably long time while I wait for the viewfinder to turn on. It’s not just me that notices this – my subjects notice the delay too, and find it a bit unsettling – like I’m staring at them motionless for an uncomfortable amount of time. I’m presuming this is some overly-aggressive power saving feature, which I wish I could just turn off. (FYI I have the camera configured to viewfinder priority mode, since that’s the only one that makes any sense to me, but I haven’t explored if other modes alleviate this problem). I basically never used these two buttons any other Nikon DSLR – maybe occasionally in video mode to toggle the display of various things, but otherwise I just had no apparent need, or had better ways to get at the same functionality. 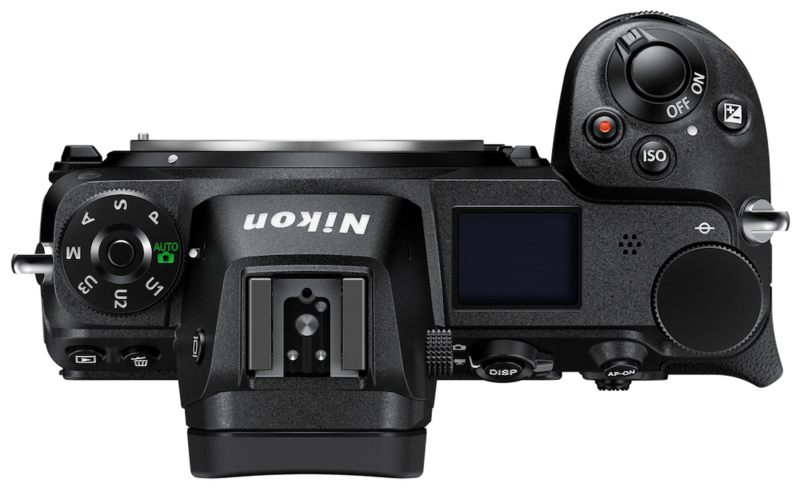 The Display button doesn’t really change from Nikon’s DSLRs – as before it toggles through various display ‘HUD’ modes. As always, I wish I could more precisely configure what’s shown – certain information is only shown in certain modes that otherwise contain heaps of crap I couldn’t care less about, so being able to cherry-pick the exact ‘widgets’ I want to show would be ideal, and eliminate the need for a mode-switching button entirely. The Info button and associated functionality is something I find myself naturally using on the Z7. It’s unfortunately awkward to use via the touchscreen, as inexplicably you must double-tap everything to get settings to actually apply, which I consistently forget because it’s so unintuitive. Using the d-pad & ok button is much safer, and so I do that, which is fine most of the time. Being able to configure the contents of the Info panel is of course what makes it much more useful than before. And though the number of items you can place there simultaneously is fixed, and seemingly not many – twelve – I actually find myself searching for useful things to fill the last couple of spots. So thus far I’m pretty happy with it – I don’t mind using it as opposed to dedicated physical buttons, for the most part, though for now I did still find myself occasionally reaching for the AF mode and bracketing physical buttons, that no longer exist. I also am having a surprisingly hard time remembering that there’s still a release mode physical button, albeit in an awkward location now – I keep going through the Info panel instead, which isn’t really a problem but makes me feel a little silly sometimes. It’s still early for me on image quality – I have a lot of photos taken with the Z7 I haven’t even gone through yet – so I’m not certain how good or bad the in-body image stabilisation is. My impression from chimping is that it’s not all that great, based on significant numbers of camera-motion-blurred photos, but I’m also quite self-aware that I’m coming from (primarily) a 21 MP D500, to this 46 MP Z7, so it’s an intrinsically much more demanding sensor re. motion blur. And the lightness of the Z7 probably isn’t doing it any favours here, either. Certainly I think it’s fair to say it helps with previously unstabilised lenses, like the Sigma 50/1.4 Art. More testing is needed, though, especially to estimate the degree to which it helps. One of my pet peeves about the D500 is that it has huge mirror shock. Certain shutter speed ranges – typically ~1/50 to 1/160 – with some lenses are utterly unusable on the D500. I’m optimistic that the Z7 will not suffer from such issues, given its ability to utilise a purely electronic (i.e. no moving parts) mode. I’ve not yet put it through its paces in those specific scenarios, though (e.g. macro photography with the Sigma 105/2.8 is the worst such case with the D500, that I’ve encountered). I know from past experience with mirrorless cameras (e.g. a7r II, GH4) that these shutter speeds don’t have to be verboten. Image stabilisation in video mode does seem noticeably better than on the D500 (with a VR lens). I haven’t explored it much yet, though. One thing I noticed very quickly upon picking up the Z7 is that it has an ugly flickering problem when panning photos in review mode. It’s at its worst when using the d-pad for panning, but also shows up a little bit when using the touch screen to pan too. It’s very distracting, and I don’t understand why it would be doing that, nor how this is considered acceptable by Nikon. I’m hoping it’s some very stupid but fixable bug that can be addressed in a firmware update. 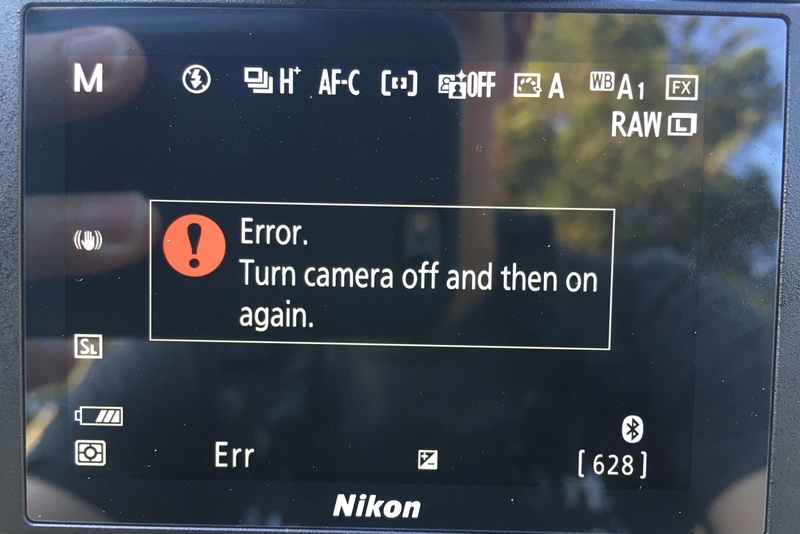 No other Nikon camera I’ve ever used had this issue, or anything like it. Otherwise though it’s just as on any prior Nikon DSLR – scrolling between images is plenty fast, zooming is instantaneous, the touch screen works nicely including pinch-to-zoom & double-tap-to-zoom, etc. It’s a genuine compliment to say that image review continues to work – flickering notwithstanding – as on Nikon’s prior cameras. I’m a big fan of silent mode. It unfortunately doesn’t always work – under some artificial lights – certainly fluorescents – it’s useless as it results in pronounced, ugly banding. But under better lighting (e.g. LED), or natural light, it has no such issues. The ability to take photos silently is really handy in a lot of situations, and I use silent mode by default even when silence isn’t strictly necessary (in part also motivated by a desire to eliminate sources of motion blur). I do wish that the camera’s flicker detection feature could be enhanced to provide a warning to you when you’re in silent mode and it suspects banding will occur – a few times I started taking photos only to find out some time later, when I finally checked them on the LCD, that they were ruined by banding. Since it’s not always obvious when it will occur – nor does it necessarily occur consistently – it’s currently something you have to be careful about, currently. The Z7 claims to have a new ability to stream photos as they’re taken to a computer. That would be really handy sometimes. Unfortunately, the Wireless Transmitter Utility software that you need on your Mac, in order to do this, doesn’t work. The installer doesn’t work, more specifically. After clicking through the first few screens, it abruptly says it’s installed, but it isn’t – nothing has been installed. My guess is that it’s incompatible with the current version of macOS, Mojave. Officially they don’t claim WTU is Mojave-compatible. Mojave has been out in various forms, including public let-alone developer betas – for most of this year already, so there’s zero excuse for Nikon’s software being incompatible at this point – if indeed that is the issue. 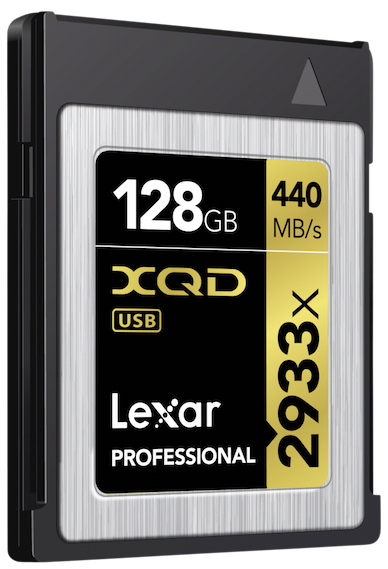 I do like the XQD format in general – the cards are fast, robust, & reliable. Unfortunately right now they’re also the most expensive they’ve basically ever been, despite greater market demand than ever, more manufacturers than ever, the lowest commodity NAND prices in years, and broadening adoption across multiple camera brands. And since Nikon didn’t see fit to include an XQD card with U.S. orders – unlike their actions everywhere else on the planet – I find myself with just one XQD card for now, purchased way back when they weren’t so insanely expensive. And that’s a problem for a camera that can operation at 8 FPS with ~60 MB files. For the first time in pretty much ever, for me, this week I found myself abruptly unable to take any photos because I had no space left on any available memory card (nor any way to get the photos off wirelessly, thanks to SnapBridge’s refusal to transfer raws, and WTU’s inoperability as commented on above). So that’s unpleasant. It appears for the foreseeable future I’m going to have to live with this problem, and do my best to mitigate it – at least until XQD card prices come down dramatically, to something more sensible. While I don’t really care about the lack of a second slot, the lack of an SD slot is a big problem given where the XQD market is right now. Also, for the Sony fans that think the a7r III is superior specifically because it has two memory card slots – no, it doesn’t. Only one of those slots supports UHS-II. The other slot is basically useless, given how slow UHS-I is. I have absolutely no use cases where I could reasonably make use of a UHS-I slot, in a 46 MP camera. The Z7’s XQD slot is capable of much higher speeds than UHS-II. Alas only for a king’s ransom, currently. Nikon (and many reviewers) made kind of a big deal about how small they believe this lens is. It’s a fairly small lens I suppose, though not remotely as tiny as the 18-55s you get with Nikon’s DX DSLRs, despite having a similar focal length & aperture range. It’s not that much smaller, volume-wise, than the 16-80/2.8-4, despite the latter’s much wider focal length range and wider aperture (albeit without full-frame coverage, of course). Maybe that’s an unfair comparison – certainly I’m more familiar with DX lenses in this focal range, than FX ones. I don’t know how it compares with 24-105/4 or 24-120/4 kit lenses of yesteryear. Regardless, I’m not impressed by its size at all. Not that I think it’s too big – I’d actually much prefer it be bigger and have a better focal length range (e.g. 24-120), or a bigger aperture (e.g. f/2.8). I’m interested to see the Z-mount 24-70/2.8 next year. I can’t comment on its optical quality yet – I haven’t reviewed enough photos. Certainly it’s a big net win over my D500 with pretty much any lens, in terms of sharpness, though the massive sensor resolution difference is presumably the biggest factor in that. Its weather sealing seems pretty poor – I seem to recall Nikon asserting that it has pretty good weather sealing, yet within seconds of its first use, cat hair was getting inside it through the telescoping barrel. I definitely would not use this lens in a wet, dusty, or hairy environment if I could avoid it. One small but odd note – the lens hood is surprisingly difficult to attach, whether in use or in inverted stowage mode. The last bit of rotation – to get it to ‘click’ on securely – requires a surprising amount of force, so much so that I’m really worried I’m going to wrench the lens in half. I’ve had a few lenses in the past where this operation required a bit more force than I’d like, but none nearly so bad as this one. It makes me wonder if I’ve got a dud copy of the lens hood, or somesuch. I’m not returning the Z7 yet. I actually don’t expect that I will – despite its many shortcomings, I think it’ll still work well for some of my intended uses. I’m definitely not selling my D500 any time soon, though. I guess the simplest expression of my feelings is to say that: I’m not angry with you Nikon – I’m just disappointed. 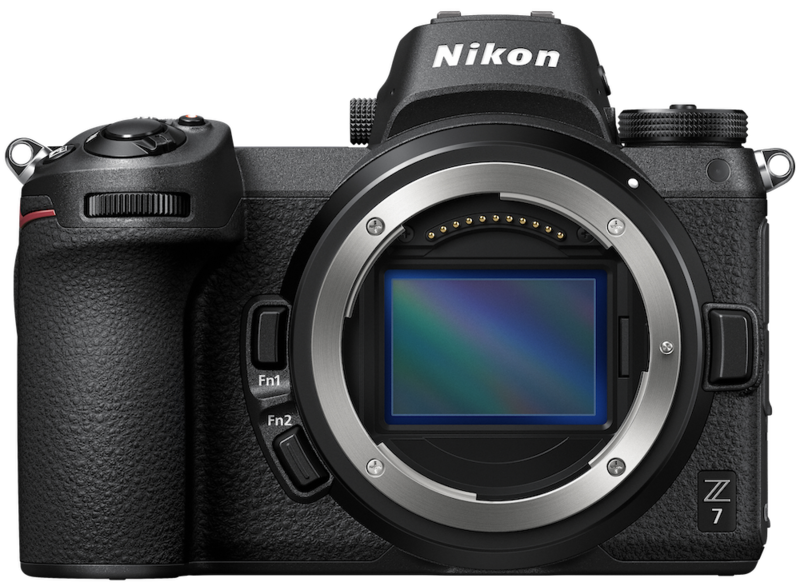 The Z7 should have been a tour de force entrance into mirrorless for Nikon, leveraging their class-leading DSLRs to launch an unbeatable mirrorless camera. They seemed to have all the advantages & resources they needed. That they’ve fallen short of that, and produced merely a decent mirrorless camera, is hugely disappointing. I didn’t even cover some the features that are missing entirely – e.g. sensor shift image stacking. I’d like to hold onto hope that Nikon will fix a lot of these issues, and add the more glaring missing features, in a future firmware update. They technically could, at least in some cases. However, that would be a dramatic departure from their modus operandi to date. A hugely positive one, for sure – but just as they seem to have not quite known what they were doing in designing the Z7, I fear they also don’t really know what they’re doing with their firmware strategy. Fix the AF system so it actually works. Fix the AF interface to not be so hard to use. Fix video focus so that it works well, and doesn’t imitate a mediocre contrast-based system. Fix the unusually long delay in the viewfinder turning on. Fix focus peaking so that it’s actually enabled when it’s enabled. Support clipping warnings (zebra stripes) in photo mode. Fix the flickering in picture review during panning. Warn about banding in silent mode shooting under flickering lights. Reconsider control placement, and the general size of the grip re. its current diminutive stature. Fix SnapBridge to support NEFs. 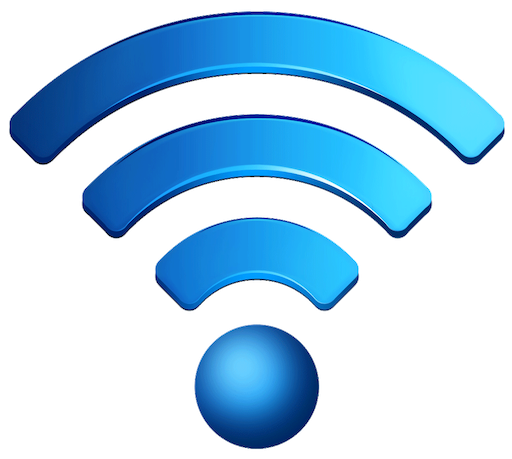 Make the Wireless Transmitter Utility actually work. These are of course just limited to basically fixing the obvious shortcomings & bugs the Z7 currently has – it’s a much longer list if we incorporate ‘wishlist’ items like leading-edge video capabilities (8-bit H.264 video, in 2018? Come on…).